Fitted with unique overload protection system. Large stable base and notched saddle. Supplied with a two-piece handle. 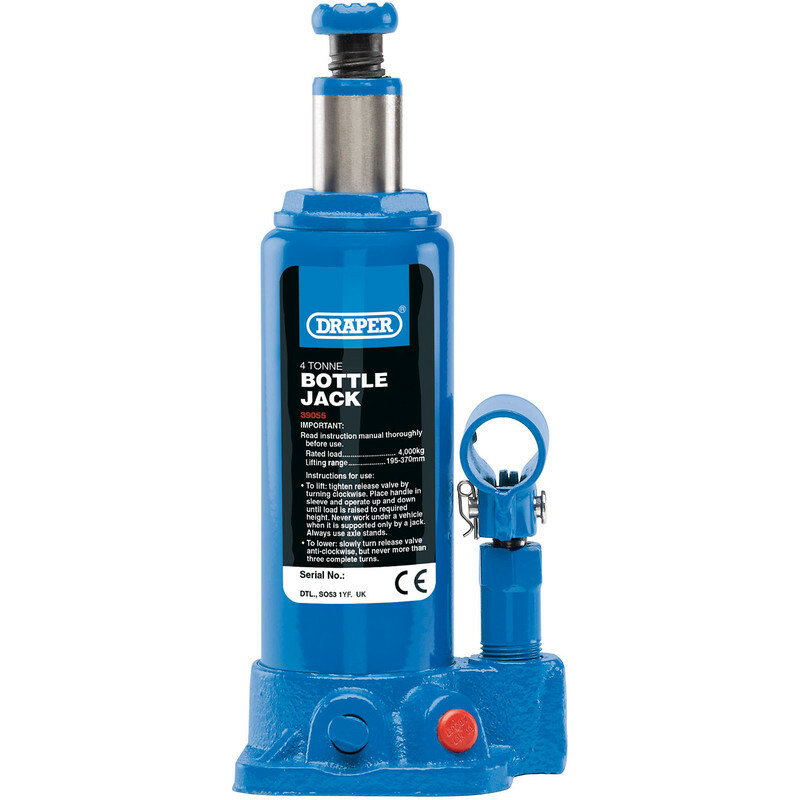 Draper Hydraulic Bottle Jack 4000kg is rated 5.0 out of 5 by 1.